You might be wondering why sea turtles and plastic pollution is something you should care about. Keep on reading and we’ll explain why caring about the wellbeing of our sea turtles has an impact on you too. And most importantly, we’ll let you know what you can do to help, both at home and as a sea turtle Conservation volunteer. Even though the adult turtles become wiser about their eating habits with age, sometimes the luring thought of a snack makes for bad choices. 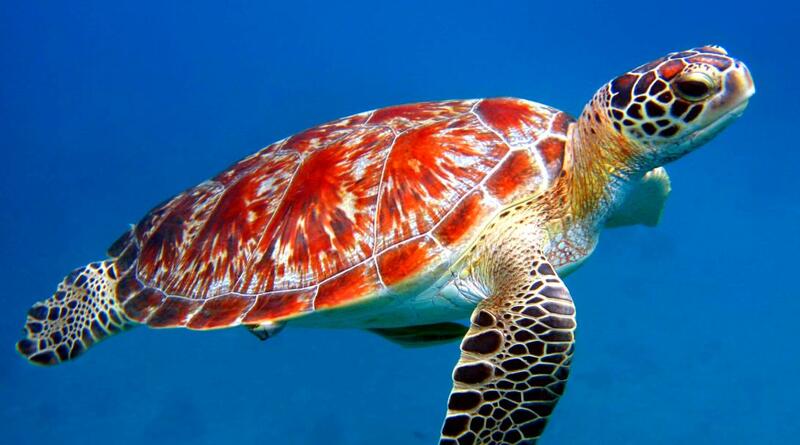 Plastic waste that looks like a sea turtles natural food is more frequently eaten. As an example the endangered Galapagos green turtle’s favorite food is jellyfish. Plastic bags that float in the ocean look very similar to jelly fish and if a turtle ingests a plastic bag, it can form fatal blockage. Do yourself and the ocean a favor, buy cosmetic products such as toothpaste, shampoo, makeup and conditioners without microplastic. Recycle. Even though plastic can cause harm, it is still a valuable resource. Since it is not biodegradable, rather sort your garbage and send your recyclable plastic to a new life. That way, it is being reused and discourages the production of more. Beach and ocean cleanups. Our turtle Conservation volunteers are not afraid of hard work and getting their hands dirty. 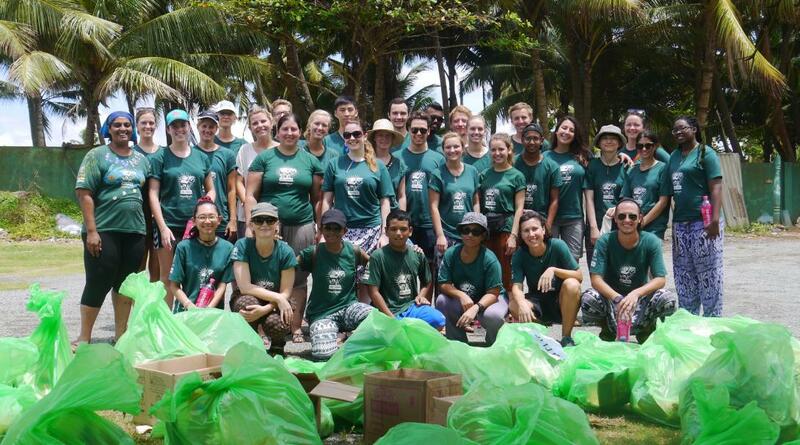 They regularly participate in beach cleanup projects and our diving volunteers in Fiji, Thailand and Belize tackle the underwater trash problem. We record data about the type and amount of garbage we find. This is shared with local governments and other organizations that work towards environmental and wildlife conservation. The data is then used to create or improve environmental strategies. At Hunting Caye beach in Belize, our Belize Conservation volunteers removed garbage deeply ingrained in the sand to improve nesting conditions. As a result, we were later able to document two turtle nests and 11 crawls. Taking care of injured turtles. Sadly turtles get injured due to entanglement or ingested plastic. 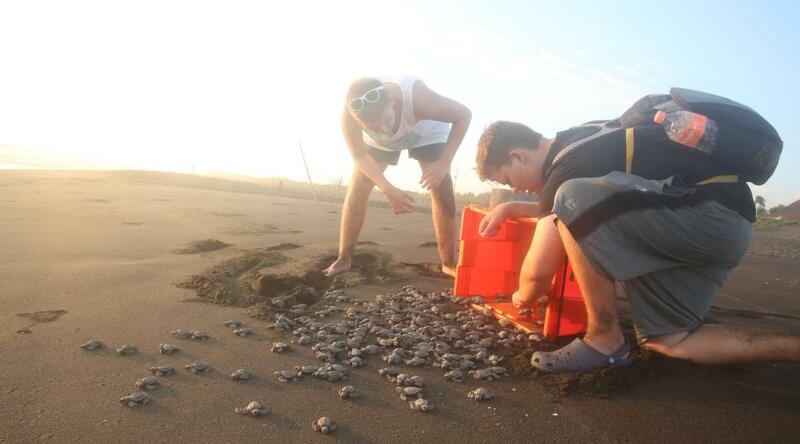 At our turtle volunteer program in Mexico, we have the local government’s permission to rehabilitate injured turtles. If possible, we release the turtles back into the wild. Education is key. All of our Conservation Projects focus on raising awareness and knowledge about the environment and its protection. Our sea turtle Conservation volunteers visit schools and community centres and talk about the environment, recycling and how plastic pollution is killing turtles. Patrolling. Our sea turtle Conservation volunteers in Mexico and Conservation volunteers in Peru, patrol beaches day-and-night to find turtle nests. They then relocate the nests to safe sand incubators. By doing this, we are able to save turtle eggs from poaching. When the eggs hatch, we release the hatchlings onto a clean beach. This is to make sure that the hatchlings get the best start on a clean beach. 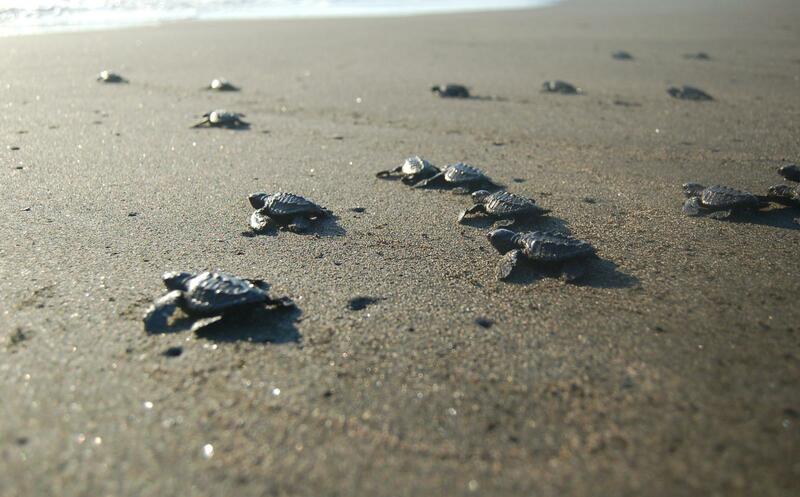 Neither you, nor I, can save baby sea turtles alone, but we can all do our part. Let’s put our efforts together and make sure sea turtles exist in our oceans for future generations.